Going out for a night on the town can end badly for you and your friends if you’ve had too much to drink. But what if you haven’t had “too much” to drink? Is it possible to get a DUI if you are under the legal limit? The short answer is, yes – you can still get a DUI in Tennessee if your Blood Alcohol Content (BAC) is under the .08 limit. DUI is “driving under the influence” of drugs or alcohol; not driving drunk, or driving visibly impaired. Technically, you could get a DUI if your blood alcohol was at a 0.01; it’s just incredibly unlikely. Because Tennessee follows an implied consent rule, you might end up getting pulled over for a perfectly legal reason, and then being arrested for DUI, even if you’re not legally drunk. You could be charged with DWI or DUI in Tennessee even if you did not blow a 0.08 during a field sobriety test. In the simplest of terms, you can face DUI charges if you are noticeably impaired when a traffic stop is conducted. For example, in a majority of jurisdictions, being impaired does not just center around alcohol consumption but also the use of drugs. You can be deemed impaired if you are on prescription drugs and are driving, especially if the instructions for the drug say not to operate heavy machinery. Let’s say, for the sake of an example, that you are on a prescription drug and decide to drink a beer after you took the medication. Technically, you’re under the limit – but if the beers mix with the medication, and cause you to drive erratically, you can still get a DUI. Every state, including Tennessee, operate under zero tolerance laws. 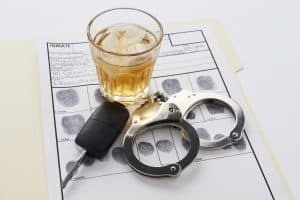 These laws automatically charge suspects with DUI if they are under the age of 21 and had even one alcoholic drink before getting behind the wheel. This means that if someone under the age of 21 blew a blood alcohol content level higher than 0.00 they will be charged with DUI. A zero-tolerance law might also cover incidents involving children in the vehicle. You might not have to blow more than the legal limit if you are pulled over for suspicion of impaired driving and there are children in the car to be hit with a DUI. The passing of time can also lead to a DUI charge if you blow a 0.07 during a traffic stop in Franklin. For example, if you blow that close to the legal limit of 0.08 in Tennessee the prosecutor assigned to the case might argue for DUI charges. The reason? The prosecutor could argue that your blood alcohol level was at one point at 0.08 or higher but dropped while you were driving before being stopped by the police. This is the national campaign run every year throughout the year by the National Highway Traffic Safety Administration (NHTSA). The NHTSA defines buzzed driving as getting behind the wheel after having a few drinks and asking yourself, “Am I okay to drive?” Anyone who poses this question to themselves should know the answer, “No, you’re not okay to drive.” Buzzed driving is another example of how you can face DUI charges in Tennessee without actually blowing over the 0.08 limit. Have you been charged with DUI? Criminal charges should never be taken lightly, especially if you were under the legal limit for blood alcohol content. To speak with an experienced Franklin DUI defense lawyer, call the Law Offices of Adrian H. Altshuler & Associates to schedule a consultation at 615-412-1121. You can also complete the contact form on our website. We proudly serve clients in Franklin, Columbia, Brentwood and the surrounding areas.